Bone spurs may cause folks considerable, even disabling, pain when they irritate nerves or other tissues or form on a weight-bearing joint like the heel. The following article gives a brief overview of what bone spurs are along with a compilation of personal testimonials from folks who have been managing their own health using essential oil blends to dissolve bone spurs naturally. “A bone spur forms as the body tries to repair itself by building extra bone. It generally forms in response to pressure, rubbing, or stress that continues over a long period of time. “Behind each [spinal] disc and under each joint are openings that allow a part of nerve roots to leave the spinal cord to go to other parts of the body. The opening (foramen) that encloses the nerve is just large enough for the nerve to go through. Bone spurs can be a problem if they develop in the openings for the nerve roots. They make the space narrower (foramen stenosis) and press on the nerve. 8-31-03 Rub [the anti-inflammatory essential oil] blend on the location as often as you can think of it. There is not protocol for how long it may take: 30-60-90 days in some cases. Some results are seen quickly, even immediately upon first application. Some take more time [even up to a year]. The best thing to know is it works! Be patient…for all bodies are different and they all have their own schedule for healing. [The anti-inflammatory essential oil blend] on my heel worked beautifully to get rid of my bone spur. First I put [a frequency balancing essential oil blend] all over the bottom of my foot and then I rubbed [the anti-inflammatory blend] on the heel. Within a week the pain was gone and a month later the xray showed the bone spur was gone. The following is a personal email discussion I had with a friend, who didn’t feel confident about essential oils healing capabilities or her body’s own ability to heal itself with the appropriate holistic support. Your question “…why the oils would dissolve a bone spur but not other bone or tissue as well?” is a good one. One that never even occurred to me. What I think people come to realize through experience is that our bodies & minds have a natural intelligence (or wisdom, for lack of another word) that recognizes what tissue is healthy and what is unhealthy. For example: the blood automatically coagulates when you have an open cut, in a healthy body, just at the wound site and not throughout your circulatory system. When one nurtures the body with nutrition, essential oils, positive attitudes, directed intent ~ whatever you want to call it ~ the dysfunctional focus area begins to heal. We ~ and our bodies ~ know that we’re not intending to destroy what’s already healthy and functioning well. What wisdom would there be in that? The problem with modern AMA therapies is that the holistic component has been removed for the most part: Pharmaceuticals have been distilled into individual chemicals (not the integrated, balanced compounds as nature made them) or AMA techniques are too intense / concentrated, much more than most sensitive immune systems can cope with ~ as in the case of chemotherapy or radiation so common prescribed in cancer treatment. Do let us know via your comments what route you decide upon for your bone spur issue and what helps you regain your well-being and range of motion. We’re particularly interested in your therapeutic essential oil experiences. where do you get the healing oils for bone spurs? Thanks for coming by our essential oils site and leaving a comment. Essential oils that have been helpful to some folks for bone spurs are available from Young Living. If you live in the US, here’s the website page describing how to order from Young Living Essential Oils. If your residence is in another country, let me know via email: Cynthe[at]EssentialOilsForHealing[dot]com and I’ll direct you to the correct website link. Mid-AUG, my friend who recently began using essential oils RC & Lavender on her neck and shoulders for a spinal bone spur was able to get off pain-killing meds within two weeks. She’s also receiving monthly Cranio-Sacral therapeutic treatments and on a pain scale of 1 (barely perceptible) to 10 (excruciating), she says her pain is about a 1-2. She has high hopes for being able to dissolve the spur in this next year. The EO’s on my neck: I use Lavender and R.C. [Young Living essential oils blend] LOVE them!!! I have used PanAway [another Young Living essential oils blend] a few times when in alot of pain. But, usually not. I have been very comfortable since starting the EO’s [a year ago] and my regular (every 4 wks, more if possible) massages. ~ Cypress, 15ml = $23.36 USD and Marjoram, 15ml = $45.72 USD have also been helpful. There may be some Canadian companies that produce therapeutic-quality steam distilled essential oils. I am not familiar with Canadian EO producers. *Both the RC and Valor blends are proprietary to Young Living and not available elsewhere. You also have the option of registering as a YLO customer / preferred customer or distributor in my EOs group which will qualify your for the 25% pricing discounts and educational support from me to help answer your questions. My friend Barbara is also aware of some minor surgery that can remove those bone spurs. An successful outcome, depends on your particular situation which would have to be evaluated by your medical professionals. Let me know what you decide to do. And in the meantime, take care. Lotusdell ~ In researching natural options for a friend who suffers from gout, conventional wisdom suggests dietary changes (foods to avoid / foods to eat in quantity). Are you aware of this info? In terms of using therapeutic-quality essential oils, I would suggest strongly anti-inflammatory oils, plus essential oils that relieve pain. My first choice would be German Chamomile for its gentle, yet powerful, anti-inflammatory effects. Young Living Essential Oils’ research team tested 77 therapeutic grade essential oils ~ Six had a high rate of inhibiting nitric oxide, a compound released in the inflammatory process, irritating tissues and causing damage. *Oregano–most significant, Melaleuca ericifolia (Rosalina), *Nutmeg, *Lemongrass, and Peppermint. Lemon, Frankincense, Tangerine, Myrtle, Lavender, Patchouli, Eucalyptus polybractea, Juniper, *Clove, Orange and Eucalyptus radiata. Recent research has found Copiaba and Octotea, two gently healing essential oils from the Amazon basin are the highest known oils with anti-inflammatory properties. * The starred essential oils need to be used with some caution (under the guidance of a clinical aromatherapist like myself who can suggest the best essential oils for your health needs) as they are skin irritants for some individuals and/or have powerful compounds that mimic natural body hormones. Drinking lots of water and taking soaking baths to detox the irritating uric acid would be important, too. Madzrib ~ I ship my custom Gaia Pharmacopeia blends to Malaysia for customers there. I am visiting my elderly parents and will be back by May 16th, at which time I can fulfill new orders. Please use my full name: Cynthia Brush and YLO membership number #168709 as your referral source. Thanks for your inquiry. I am suffering with my neck bone spurs. I have bilaral bone spurs on C5-C6. What kind of oil would you think it will help? Please let me know. Thanks. Thanks Cynthe for your prompt response. How can I order the Young Living blend RC. And, how much does it cost? Thanks. my friend has advanced leukemia…the MOST aggressive kind, (something, something N1. )We want to help him be as comfortable as possible.would your decisions on oils be frankinscence and orange?I live in Australia.I haven’t been overly specific as I’ve only found out and still in real shock. Toby ~ So sorry to hear about your friend. And heartfelt apologies for taking over a month to reply….somehow I missed your question in my email notices. As a certified aromatherapist in the USA, I am not permitted to prescribe. As such we also cannot guarantee results. I can share what others have done to heal themselves, though I don’t know if any folks who have used therapeutic-quality essential oils with good results have faced the same cancer challenge your friend is facing. These oils enabled me to eliminate symptoms of leukemia and regenerate my body. I weighed 131 pounds at one point and now weigh 30 pounds more through resistance training and exercise. Usage of the oils allowed me to reduce or increase symptoms in direct proportion to the amount used. Eventually I was using 80+ drops of oils per day internally and saw blood results normalize quickly. I have beginning Dupuytren’s on left hand (thickening and small knot no contracture yet). Do you know of anyone using R.C. for that disease successfully? Or anything else? Thank you. Found your website through a google search. Rosemarie ~ Appreciate you coming by to ask about using therapeutic essential oils to allay symptoms of Dupuytren’s disease. After reading about Dupuytren’s (which I wasn’t familiar with), my suggestion would be to use therapeutic essential oils that prevent the formation of scar tissue. 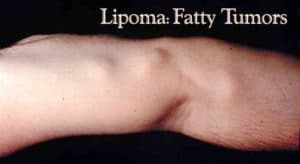 Dupuytren’s is a disease of the fascia, which lies just below the skin surface. Certain therapeutic-quality essential oils are excellent for the skin’s health. Other therapeutic essential oils help the body’s DNA function in a healthy manner rather than dysfunctionally as in this disease. I could do more research for you. My consultation fees are $60. OR you could use some scar prevention custom blends I’ve formulated: Revive™, Angels Touch™, SureHeal™ available from our on-line store: http://www.GaiasPharmacopeia.com Thanks for coming by. Stacey ~ Thanks for sharing with us that Young Living’s RC therapeutic essential oil blend is helping YOU! Almost all the essential oils in the blend, including four kinds of eucalyptus, are anti-inflammatory. Bone spurs are one way the body may react to stressors, usually an injury or repetitive action or pressure of some sort, which causes an excess build-up of bone (an inflammatory reaction). RC is ONLY available from Young Living Essential Oils as it’s their proprietary formula. That’s where I purchase my bottles, too. Cynthe, thank you for your reply. I also have a bone spur on one of my fingers and was wondering if the people writing their success stories here with RC from “Young Living” used it straight from the bottle or diluted with 50/50 with extra virgin olive oil? What do you advise? Rosemarie ~ Folks use the Young Living RC blend straight (not diluted) for bone spurs. It’s a mild essential oil blend with primarily anti-inflammatory oils like 4 types of Eucalyptus, Myrtle, Pine, Marjoram, Lavender, Cypress, Tsuga, and Peppermint oils. It’s one of my FAVORITE essential oils for respiratory issues, too. LOVE the smell! Cynthe, thank you so much for the tip – I was following the directions on the bottle which says dilute 50/50 with evo. I will let you know if/when I see results re the bone spur. Now a question about ordering RC – you are directing people here to the young living website. This surprises me as I thought you might get some monetary benefit if we ordered from you. And I didn’t say anymore about my Dupuytrens, because about a year ago I came upon a suggestion to apply vitamin E and castor oil onto the area (I rub in the vitamin E, then soak a small cotton pad with castor oil, place it on the area, cover with piece of plastic and wrap with bandage). Tip: the soaked cotton pad can be used over and over. But I use vitamin E in softgels to have them fresh each time…I did this every night and the two knots I originally had flattened out to just a little thickened skin after about 6 months. I’m still doing this to keep it that way. Again, Cynthe thank you so much for taking the time to answer my questions. I often sell RC to folks directly from my personal stash, usually to people who aren’t ready to make the $150 commitment for being a YLO distributor. 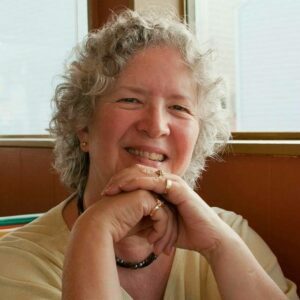 In all honesty, with the initial back-and-forth communications, handling, shipping, driving to the post office, and bookkeeping…there’s hardly room for ‘profit.’ In truth, it likely factors out as a loss…but it does get folks to use the essential oils, empowering them to heal using natural alternatives. Which may encourage them to use therapeutic essential oils for other health issues. If a person is going to be using YLO’s essential oils on a regular basis, it’s best for them to order directly….ideally signing up as a YLO distributor for discounted pricing in my Young Living Essential Oils group. (TIP: Use my full name: Cynthia Irene Brush and YLO distributor #168709). The point of being in a YLO group is to form personal relationships where we mentor / share our essential oils knowledge with each other…and spread that knowledge about these incredible essential oils to others in our wider circle of family & friends. And augment one’s income with modest commissions on those sales. I find many Young Living Essential Oils customers / distributors don’t have direct contact or on-going dialogues with the YLO folks they originally signed up under. A surprising number come and ask questions here. YLO members may choose to shift their connection to distributors of their choice, if they don’t have an emotional bond or like-minded connection to their current upline. But it would be unethical for me to ask them to do so. Thanks for asking about this, Rosemarie. Will RC Essential Oil Blend dissolve and damage the Heel bone in addition to dissolving the spur. 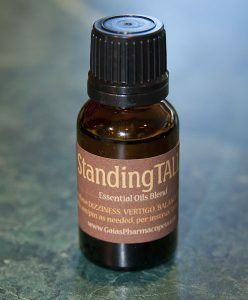 I have read that this Essential Oil is good for dissolving spurs but I wonder if it will dissolve the Heel bone as well. Others have wondered about this question, too. No. RC will not dissolve the heel bone. Bone spurs are an inflammatory reaction of the body. RC, a young Living essential oil blend of anti-inflammatory, analgesic essential oils, address that issue along with giving pain relief. Our body’s natural wisdom knows how to use the essential oils (all natural substances) to heal. Is Copaiba oil safe to eat or drink? Now Im a little confused because I read an article on the internet recommending not to ingest essential oils orally. “Safe to eat or drink?” ONLY 100% pure, therapeutic-quality (organically grown) essential oils are safe to ingest (eat / drink). I only trust products from specific companies, especially here in the United States where aromatherapy essential oils are virtually unregulated. Most USA suppliers adhere to the safest legal position of advising against ingesting essential oils or applying them undiluted on the skin. And, it IS “best practice” to use the smallest dose possible to get the desired healing results. What health issue are you considering ingesting copaiba essential oil for? I am a nurse and spend a great deal of time on my feet. I have heel spurs that have changed my walking gait which has in turn caused me a great deal of back pain. I’m finding I can hardly move without major pain, but I can’t just not work. I’ve been intrigued by RC and Valor for some time….can you tell me if they are safe for pregnant women to use topically? Leslie ~ Ouch, those heel spurs sound painful. Do you use orthotics to keep your feet aligned properly along with gel shoe inserts to provide cushioning? I have ‘fussy’ feet, too. (No bone spurs thankfully!) It’s terrible not to be comfortable on your feet. Here are RC’s ingredients: Eucalyptus globulus leaf oil, myrtle (myrtus communis oil), pine (pinus sylvestris) leaf oil, marjoram (origanum majorana) leaf oil, eucalyptus radiata leaf oil, eucalyptus citriodora leaf oil, lavender (lavandula angustifolia) oil, cypress (cupressus sempervirens oil), tsuga (tsuga canadensis leaf oil), and peppermint (mentha piperita) oil. And here are Valor’s ingredients: Spruce (Picea mariana), rosewood (Aniba rosaeodora), blue tansy (Tanacetum annuum) and frankincense (Boswellia carteri) in a base of almond oil. RE: pregnancy ~ The essential oils I would be a bit concerned about are tsuga (in RC) and blue tansy (in Valor). Valor is diluted in almond oil, so the % of tansy is likely low. Tsuga (in RC) is the 2nd to last ingredient, indicating that it’s likely used in a very small % too. I’m sure there are many Young Living essential oils users who have used EOs during their pregnancies. Some essential oils are considered excellent to comfort the mother or to help during and after labor. Have you read our article: Essential Oils for BABIES (and their Moms)? Although I am a certified medical aromatherapist, I’m not considered a ‘licensed’ medical practitioner in the USA, and therefore cannot ‘prescribe.’ What I don’t know is how a pregnant woman’s body processes topically applied cosmetics / pharmaceuticals like lotions, deodorants, shampoo & conditioner, commercial perfumes, etc. many of which contain detrimental ingredients. Why don’t you ask your OBGYN? Or research which cosmetic ingredients / medicines you are to avoid using while pregnant, especially in the first trimester? Do let us know what more you find out. Thanks for stopping by our EOH blog. I am 43. 2 years ago I jammed my right big toe into the stone stairs in my house as I was running upstairs. At the time it really hurt but eventually felt normal. For work I wore heels but not all day, just for meetings a few hours a few days a week. Eventually my foot really hurt but ironically felt better in heels instead of flats. Months later that changed and heels hurt more. 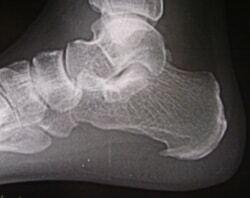 I went to the podiatrist and he made custom orthodics and told me I have a bone spur (I saw it on the X-ray). It is on the top of my foot where my big toe bends and meets my foot. It is just to the inside (towards my first smaller toe). I’ve been wearing the orthodics for over 6 months and doing acupuncture for about 2 months (right after acupuncture or icing it while its elevated are the only times it feels better). I don’t take anti-inflammatories, I have resisted getting a cortizone shot and I as long as I’m not walking it doesn’t usually hurt. But it had drastically impeded my life. I am trying to get pregnant via IVF and I am very weary of additional products although I can’t imagine essential oils hurting anyone. Can you please tell me 1) do you think your product will help me and 2) exactly what are the ingredients so I can make sure with my doctor and Chinese medicine doctor that its okay for me to take it. 2) exactly which product is for bone spurs and what is the link to order it? Thank you. Ouch! What a stubbed toe saga. I have chronic foot issues, too (inherited)…and understand how sore feet limit one’s lifestyle. To answer your questions: the therapeutic essential oil blend that some folks have used to dissolve bone spurs is RC. You may read the list of essential oils used as ingredients in the RC blend at the link. These particular essential oils work in harmony to alleviate pain, reduce inflammation, and for a number of folks to dissolve bone spurs…though because everyone’s body chemistry is different, dissolving the bone spur can’t be guaranteed. RC would have to be used daily (am / pm) for several months to a year, since bone spurs take time to form – and time to heal. I do know of clients that feel relief immediately, within days. If you decide to give RC a try, sign up as a Young Living member / retail customer to order. Please use my name: Cynthia I Brush and YLO Distributor #168709 as your referring sponsor. Let us know what you decide. And if you do use the RC, share what your experiences are. Hope it helps your foot heal. Will these oils help for bony growth on arthritic fingers? Are the oils available in the UK? Hi Annie ~ Glad you stopped by. The essential oils blend that’s best for bony growths (like bone spurs or swollen joints) is Young Living Essential Oils’ RC. A number of folks have used it for that purpose with good results. It may take several months, up to a year, depending on how long your finger bones have been inflamed. On the other hand, you could get almost immediate relief as some of our readers have. Yes, these excellent essential oils ARE available in the UK! The link I included above goes to the UK site. If you decide to purchase some, please call Customer Service to sign up and use my name: Cynthia Brush and YLO Distributor #168709 as your referring sponsor. Once you become a customer or distributor (better prices if you’re going to use the oils regularly), then please feel free to ask me any questions you may have on how to use them….or what oils can be used for which health issues. They are what my husband and I use for our first aid and minor chronic health issues since 1999. What would your protocol and application areas be if the spur is I the cervical spine? This is fascinating information! Alissa ~ Thanks for stopping by. Read the protocol suggestion from Frank Seeley right under the illustration of the foot with an inflamed bone spur. I have a client-friend who uses RC and Lavender on her spine. She definitely gets relief from the oils and also has a CranioSacral treatment once a month. Let us know what you decide to do and what effects you experience. Thanks for your reply Cynthe, I have just placed an order – fingers crossed! I hope RC helps you. Use it regularly and be patient. Please keep us posted on how your body responds. I am on my second bone spur in the same spot. I am getting a bottle of RC. I have a question though .. A very good friend of mine had surgery in his neck some bone was taken out on left side .. Right side swells and is painful to him when he has to work over head and gets severe neck pain that will go to headaches .. This will last for .. Will this work for that too? Chris ~ Thanks for stopping by with your question. Your friend’s situation sounds miserable. How recent was his surgery? Seems like circulation (lymph or blood) is being cut-off when he holds his arms up OR the damaged area has scar tissue that’s getting inflamed and irritating nerves. Has he spoken to his doctor about this? If your friend can get a diagnosis, then I’ll have more information to make suggestions about which essential oils might help. The RC blend is strongly anti-inflammatory and several of the essential oils in the blend are analgesic (pain-relieving), too. With your bone spur….what’s causing the irritation? Spurs are the body’s protective reaction to an on-going irritation. My question is, a friend had neck surgery and gets severe neck aches that go to bad headaches and takes Vicodin for the pain. When they did the surgery, they took out bone on the left side.. Right side swells with this pain. Will RC work for this? Where would you apply RC oil on a bone spur on your ball joint of your hip. Would it be the front or side or side? Peggy ~ Does your doctor know what’s causing the irritation and inflammation causing the bone spur to form? Hopefully, your water is not fluoridated….which is known to damage bones and joints. Athletic activities and/or shoes – foot issues can stress the hip joint, too. If I were dealing with a bone spur on my hip, I’d apply anti-inflammatory essential oils to the front and side of my hip, morning and evening….more frequently when I could. Hope you will experience some relief using therapeutic essential oils. I am curious, my daughter suggested RC oil (YL) for her possible bone spur. I checked my YL essential oil pocket reference book and RC blend suggested uses are respiratory, bronchitis, etc. why for bone spurs ? Hi Denise ~ ‘Why for bone spurs?’ The simple answer is, that for many folks, it works! The reason: The RC blend is a combination of many strongly anti-inflammatory essential oils. Bone spurs are one of the body’s inflammatory responses to an injury or on-going irritation. It would be important to ask your doctor to figure out ‘why’ the bone spur has formed and to eliminate the stressor, while using RC to support the body’s healing response. Have a client-friend who uses RC and Lavender on her upper spine (shoulder-neck area). She definitely gets relief from the oils and also has a CranioSacral treatment once a month. Best wishes to your daughter. Hi Graham ~ Thanks for stopping by. I don’t have much experience with ARNICA. My husband has used Arnica for ‘shock’ when an injury first happened to him. Worked in seconds! A quick web search shows ARNICA may be helpful with Muscle Pain & Stiffness | Swelling from Injuries | Bruising. So, it might be excellent for your horse. LAVENDER essential oil in general, is good for skin issues, injuries, helps minimize scarring, and also good for pain. 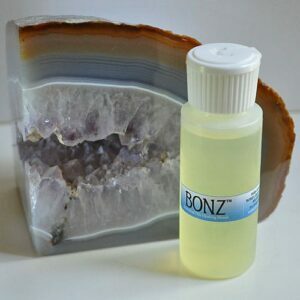 I sell a custom essential and massage oil blend Bonz™ for Broken Bones, Joint Sprains & Strains” target=”_blank” rel=”nofollow”>Bonz™ which has helped people healing from broken bones reduce hard tissue spots and regain flexibility. It might be great for your horse. I read all these articles about dissolving bone spurs on the feet. I have a spine that is covered with bone spurs. My neck is off the chart for bone spur growth. What can I do to dissolve them before they dissolve me? Hi Glenn ~ Dealing with all those bone spurs sound AWFUL! Any idea what’s causing them? As I shared with Denise a few comments earlier “Bone spurs are one of the body’s inflammatory responses to an injury or on-going irritation. It would be important to figure out or ask your doctor to ‘why’ the bone spurs have formed and to eliminate the stressor.” In your case, I’m wondering if there’s a genetic factor involved? We have several customers who use RC essential oil blend, which is strongly anti-inflammatory, for spinal bone spurs. One friend adds Lavender essential oil on her upper spine (shoulder-neck area). She definitely gets relief from the oils and also has a CranioSacral treatment once a month. There may be other essential oils that would be suitable to try as well, but researching those would require a paid consultation, if you find the RC+Lavender combo doesn’t bring relief. I have walnut size protruding heel spurs on the back of both heels. I have a high in-step and think I might have caused this damage by wearing flat sandals last summer. I have been using a essential oil blend for a month now and the pain and inflammation has subsided . My question is will the oils dissolve the heel spurs over time ? I apply the blended oils two and three times daily . Due to the size of the bone spur was wondering if it will dissolve and how long will it take for the size spurs I have ? Barbara ~ It’s unlikely the heel spurs were caused by flat sandals UNLESS they had straps that rubbed against your heels. And did those large spurs develop over just one summer?!! If so, that makes me wonder if some other health issue is going on…? Have you seen a podiatrist? It may be helpful to get a medical diagnosis, just so you know. Read my comment to Glenn for a bit more info. Glad to hear the essential oil blend is giving you relief from the discomfort. If the inflammation has reduced, then you can be fairly confident eventually the bone spurs will dissolve using your application frequency…generally in the same amount of time it took them to form. I have a ball shaped thing in the ball of my foot, right now it is not painful but highly uncomfortable, it just started a couple of weeks ago, I can feel it when I deeply rub my foot, something is in there, what do you suppose that is? I walk at least 5 days a week and wear good sneakers, though the track I walk on at work is cement, been walking on it for years but more so in the last year. I am using panaway and now I see that RC can help too, so I will try that also. Any suggestions? Hi Laura ~ Sounds like you may be developing a cyst…being that it’s come up fast and is ball-shaped. I’d definitely apply RC (it’s anti-inflammatory) two x day (am/pm) or more often, if you can. Also, find a good podiatrist – look for patient reviews on-line – and have the MD do a diagnosis. Then you’ll really know what you’re dealing with and perhaps can find out what has caused your body to react like that. Once you have that info, you can research ways to heal your foot. What essential oil, or oils combination, should I use to assist the body in removing a bone spur on the back of my cervical spine? I suffered a head injury and my neck was injured as well when 19. I will be 63 this coming May 2015 and it has probably formed over the years due to the weakened condition of the C5 and C6 area. In the last 4 months it is causing pain in my neck and head. The rest of my spine I was told by the neurologist is fine and is pretty healthy like that of a 40 year old. Hi Charlie ~ Please read my reply to Glenn Schmotter several comments earlier, where I’ve made suggestions of essential oils you could use. If you are not irritating that portion of your spine with any on-going activity, then it’s probably a slow developing effect….and remember to be patient with giving your body time to heal. Norma ~ Please read my replies to the other visitors. My advise to you is the same as I have given them….at least as the oils to begin with. X rays show calsification in my back,resulting in pinched nerve pain,Can you get calsification out of my back? Hi Jay ~ Calcifications are similar to bone spurs in that they’re an inflammatory reaction in the body. In your situation, I would definitely consider giving the RC blend a try for several months to see if you can get some relief. Does your doctor have any idea why your body is making these calcifications? Nanobacteria builds plaque is one answer given,the other is that calcium from diet is not absorbed by body,collecting in bones…like rust clogging gears in a bike. EDTA=chelation ,has been suggested vs surgery,but even that is a maybe? Why do your oils work to dissolve calsification…say right shoulder,causing pinch nerve? 1) If the cause is nanobacteria…essential oils have antibacterial, antimicrobial, antiseptic properties and support the body’s immune system in dealing effectively with infections of all sorts. 2) Plaque build-up, I’m fairly certain, is considered an inflammatory reaction. (Ask your MD for confirmation.) The essential oils in the RC blend (a Young Living Essential Oils product) are strongly anti-inflammatory. 3) If the issue is one of ineffective digestion / improper mineral absorption…one can make dietary changes to help with that. There’s lots of information on-line. You may also want to consult with a licensed nutritionist for more info. 4) I do not have expertise on chelation or its effectiveness in this sort of situation, so cannot comment further on that option. Whatever option you choose, keep in mind that individuals and their response to therapies, treatments, and medications vary…so no one can predict ‘exactly’ how your body will respond. Dipika ~ Those heel spurs are quite uncomfortable. Have you read the comments from other readers and my replies? You will find the answers to your questions there. If you need more information, please comment again. Thomson ~ Severe arthritis is difficult to cope with. It may have various causes, depending on what type of arthritis you are suffering from. What does your doctor think the cause is? Essential oils could very possibly make you more comfortable by reducing inflammation and pain. Since arthritis is a complicated inflammatory response, looking into and researching options would necessitate a paid ‘Aromatherapy For You‘ consultation. The heel spur may be easier to resolve with regular applications of the ‘RC’ essential oil blend and some patience, if you have had the heel spur for some time, as discussed in our article. It would also be important to assess what may be causing the heel spur to develop and eliminate the localized irritation. If you read through my comments to other readers, you will see several possibilities of issues that can stimulate heel spurs to occur. Also, every body reacts differently and heals uniquely…so doctors and other health professionals cannot absolutely guarantee a cure. Take care and let me know if you would like to have a consultation. I have read now several times that birch oil works wonders as an antiinflammatory and for help with heel spurs. I have “Heberden nodules” on the joints of my fingers. They are still forming and do not hurt but are unsightly. Since I am only in my 40’s and they nodules just started to appear within the last few months, I was really excited to read about the heel spurs. I guess you could say that heberden nodules are to the fingers what heel spurs are to the heel. I am using a lemon cuticle balm every night and I am anxious to await the delivery of my oil to try out some birch instead of the lemon. What is your thought on this? Alex ~ Apologies for my delayed response…we are moving into a new house starting today and this is my first time to get to the computer. I’m not familiar with “Heberden nodules,” but am curious to know more. So will do some research on-line. I’ve read Birch oil is a wonderful pain reliever, but have not used pure Birch oil myself. Where have you ordered your Birch essential oil from? Also, what are you using the lemon cuticle balm for? To make your cuticles less dry or for fewer hang-nails? Just curious. Hi again, Alex ~ Is there any chance ingredients in those hand sanitizers could have initiated the nodules? Those chemicals sanitizers are pretty toxic if used regularly. Google info about them to learn more. Lemon or any citrus EO are all highly anti-microbial/anti-infectious, so you could make yourself a 10% dilution using jojoba oil (1 drop citrus EO + 9 drops jojoba mixed in a larger quantity in a small bottle) and use that instead. Also, many EOs are highly anti-inflammatory…like the RC we write about and others. Regular use may be very helpful. Keep us posted on your experience, please. What does RC stand for? and is birch and wintergreen essential oils used for the same things? Bebe ~ RC stands for ‘Respiratory Conditions’ as this anti-inflammatory blend was originally created for acute lung / breathing issues. Folks have discovered the wonderful essential oils relieve all sorts of body inflammations like bone spurs and swollen joints (which is what I use it for when my fingers flare up occasionally). Birch and Wintergreen essential oils both may be used to for pain relief. Don’t have my essential oil reference books at hand as I am moving into a new house. Will take a look later today and see if their uses are similar…and if their chemical compounds are related. What does this “blend” consist of? Hi JW ~ RC is a propriety pure essential oils blend made by Young Living. Click the link to read the ingredients on the YLO site. I have a smooth bone, about the size of a grape, protruding from my ankle. It doesn’t cause me pain but can make a little difficult to walk and I’m afraid it’s going to get bigger. What is the best oil to dissolve this? Thank you. Laura ~ Missed seeing your question. My apologies! We were moving into a new house that week and it’s been a bit intense getting settled. Any anti-inflammatory essential oil may help with daily use for several months or longer depending on how long you’ve had the ‘bump.’ RC blend from Young Living discussed in this article is one option. (My comment to JW has a link.) Read Alex’s comments on this post about Birch EO for another possibility. Alex ~ What GREAT results you’re experiencing! Thanks for coming back to share your happy news with us…and giving other readers ideas about how to treat themselves with similar issues. Looking forward to your next update to see if those nodules can be healed completely. Wanted to ask about one of your earlier comments: when you said you purchased Birch EO from SN, what brand is that? I have a couple bone spurs in my shoulder joint. I have RC, but not sure what is the proper way to use it on my shoulder. Thanks. Scott ~ There’s not really a ‘proper’ way other than using the essential oil blend regularly….say morning and evening, when dressing and getting ready for bed. Drip several drops over the area, where you know the bone spurs have formed, and rub the blend into your skin until it’s absorbed….less than a minute. Please keep us posted on how your body responds to it. I recently purchased RC. Received it today and couldn’t be more excited. Originally was for my husband to try and eliminate shoulder pain that doctors can’t alleviate and are thinking his small bone spur may be the cause. However I woke up sore and stiff from a long day of extracting honey. Put some on and BOOM feels so great! So the second Mr skeptical walked by I rubbed two drops into his shoulder. Very hopeful he can get some relief. At just 38y my spine is covered in bone spurs. Can I mix my RC in something to make a lotion? I am facing surgery. Hi Heather ~ GREAT to hear that RC is helping you so quickly! If you use RC for bone spurs, you need to be patient. Give it time to work. It took time for those bone spurs to develop and it will take time to see if your body can heal them with the RC as well. If I were in your situation, I’d try that for several months before doing surgery. You could dilute the RC with organic jojoba or coconut oil for application to your spine…IF you want to. Or you can use the RC straight. It won’t be a problem. BTW, what has caused all those bone spurs to develop? I would like to make my own blend. Can you give me a recipe? Carolyn ~ RC is a proprietary blend made by Young Living Essential Oils. I do not have access to the formula. If you go to their website, you can see the ingredients. Making synergistic blends is an art…and a gift. Best of luck! Please let us know what you come up with. Where can I buy the anti-inflammatory rub? Hi Anne ~ Click the link in my reply just above your comment. That will take you to the company that manufactures the essential oil blend. Hi Dennis ~ Can you see my 12-16-2015 to Carolyn? The link to the company that manufactures the RC blend is there. If not, email me and I’ll send you the link. Hi Dennis ~ Can you see my 12-16-2015 reply to Carolyn? The link to the company that manufactures the RC blend is there. If not, email me and I’ll send you the link. I have a bone growth called “tori” in my mouth. Would this dissolve something like this, or do you know of anything else that will dissolve tori? Rae ~ I wasn’t familiar with tori, so did a quick bit of research. It seems unclear what the causative factor(s) are for tori. They can be removed surgically if they are too large or interfering with eating, speech, etc. RC would not be an appropriate choice to use orally. This blend contains eucalyptus oils that are generally contraindicated for internal consumption. Would this work for calcification on a bone break? Andrea ~ It probably would. Bone spurs are calcifications, too. We also offer our own proprietary blend Bonz™ that I developed for these sorts of issues in helping the body heal broken bones. After reading on bones spurs & therapeutic oil for homeopathy treatment I am still unsure of the blend I would need? I have heel & toe spurs & have already went to weeks of therapy, changed shoes & orthodics? Can you please direct me. Candace ~ Excellent that you have changed your shoes and now wear orthodics. Hopefully, they will stop the stress that have caused the bone spurs to develop. They are many suggestions of essential oils others have used in the readers’ comments on this article. Some relieve pain, others have helped bone spurs to dissolve over time, all are anti-inflammatory. It takes TIME, at least months..or a year, depending on how long you’ve had bone spurs. And every body heals differently, so using a combination of essential oils is best. There are also links in the comments to the RC oil blend that a number of folks have had success with. Please read through the comments for ideas. Check out the links. You will be able to order directly. Candance ~ Excellent that you’ve changed shoes and are wearing orthodics. Hopefully, this will relieve the stresses that are causing your body to form the bone spurs. Please read through the readers’ comments on this post. Various essential oils are suggested…some relieve pain, others help the body dissolve spurs, all are strongly anti-inflammatory. There are links to the company that sells quality essential oils and instructions on how to purchase from them. Try out the various links once you decide which oils you wish to use. Keep in mind that every body heals differently. Often using a combination of essential oils is most effective. Also, it takes at least months, sometimes a year or two, for the bone spurs to dissolve…depending on how long you have had them. After reading your blog, I decide to sign up with young living as a distributor to try RC from them. I will put you as my upline and reference. THe RC is for the bone spur on my L-4. Can you advice me on what else I can use from Young living to get rid of the sciatica pain on my left leg? I have two degenerated discs L5, S1 and bone spur on L4. I am getting a MRI in a few days to get a diagnosis on my sciatica pain. Since I don’t know anyone who is a distributor, I wonder whether I can get help from you after I sign up at Young living? Thank you! Hi Lei ~ Good you’re giving the RC a try. Just so you know, I am no longer a Young Living distributor* (just a customer, but still can be used as your reference). I still have connections with people who introduced me to YL oils who are. Perhaps I can refer you to one of them? I provide paid consultation services, if folks need more detailed assistance with their health challenges. YLO has various essential oils that help with pain…often one needs to experiment to discover which choice or combination of oils is best to relieve your pain. We also offer some special oil blends that ease pain…and we’ve written some articles on the blog with other ideas. You also could consider acupuncture, which can be very effective. *NOTE: I gave up my YLO distributor status because of objections to our educational blog where we teach visitors how to aid health issues using essential oils. Cynthia, Thank you so much for your prompt reply. Your sincere desire to help people like me is greatly appreciated. Just because of your blog, I get to know that there are might be other ways to help with health issues other than shots and surgeries. If you can refer me to one of your contacts to sign up under, that would be great. I would also consider consulting with you if the regular products don’t help. I will keep you updated. I will try to look around for a good acupuncturist as well. ( I came from China originally). Again, sincere thanks to you! Lei ~ Have you signed up already with Young Living using my name as a reference? If so, you are in the person’s downline, who introduced me to YLOils. 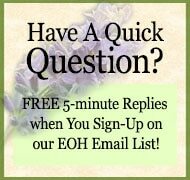 I have just emailed her to see if she is willing to answer some of your questions on which EOs to use for pain management. Will let you know more when she replies. I have not signed up yet, but I will go ahead to sign up using your reference number. I just need some guidance if possible from someone who is more familiar with their products. I called the company and they are not allowed to recommend any products for medical conditions. I tried to sign up on their website, but they only accept sponsor ID, not the name. When I put in #168709, it won’t continue. I guess it is because the ID is expired? Hi Lei ~ Yes, didn’t realize my member number would not work because I am no longer a distributor…thought it would automatically be routed to my own sponsor whose number is #58417. OR wait until I get a reply to the email I sent her. Otherwise, I have another person who would be happy to be your sponsor. I will wait until she replies to you. thank you!